New trim work, special badging and lower prices will hopefully enable the Avalanche to go out with a bang. With GM calling it a day on the Chevrolet Avalanche, a special edition model was inevitable. The truck was first introduced back in 2001, received a redesign in 2007 and now a special edition, dubbed the 2013 Avalanche Black Diamond, will mark the end of production. "More than 580,000 Avalanches have been sold since its introduction in 2001, and Avalanche has won major awards and recognitions throughout its run," said Mark Clawson, Avalanche marketing manager. "So it is only fitting that Avalanche retires on a high note." For the final model year, the 2013 Black Diamond gets body-colored bed surrounds, a unique badge on the sail panel, as well as some new features and a lower price. LS models will have a rear camera, rear park assist, power adjustable pedals, fog lamps and remote start, while LT models get a standard rear camera. Base prices have been cut by $2,5000 and the 2WD Avalanche LS now starts at $35,980. 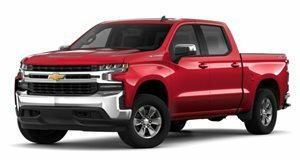 "Although Avalanche sales have tapered off in recent years, as crew cabs have grown to dominate Silverado sales, we know there are many Avalanche enthusiasts among Chevy customers." "The Black Diamond Avalanche is our way of saying &apos;Thank you&apos; and making it just a little more attractive to own one more Avalanche," said Clawson. Cynics would suggest the low price has more to do with trying to shift more motors. Only 2,083 Avalanche units were sold last month, a fraction of the 36,491 Silverado models, and less than half of the Tahoe units sold.